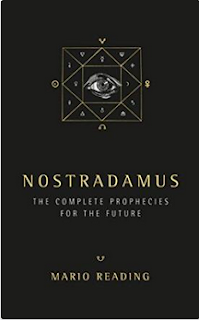 I was sent the book Nostradamus - The Complete Prophecies for the Future by Mario Reading to review. I thought why not make a project out of it. So what I plan to do is take a quatrain from the book hopefully in order (be patient with me, I have a lot going on) and share them here. We can talk about them, discuss them or you can just give me your opinion of the prediction. First let me say the book is printed really well. The cover is like a soft suede and the pages thick. Just the way I like a good book. The introduction and and preamble give a nice background on the the author, which was nice because I was not familiar with his works. You can find out more about the author here and pick up the book on Amazon here. Will shake the towers of the New City. Until Arethusa springs bloody the river afresh. People will be forced to drink the sulpher-poisoned waters. As many other theorists suggest, Mr. Reading points this to be the prediction of the 9/11 attack on the World Trade Center in New York. The author goes on to tell us that the reference to the "fire from the center of the earth" is related to the jet fuel with was the primary accelerant and the "New City" is "New York City". He also sees a connection with the myth of Arethusa and the springs of Ellis, which equate to Ellis Island in NY. The last reference in the book is that "Two great rocks will war for a long time" and this the author says is related to Christianity and Islam. In the second quatrain 10/49, the author states that the hollow mountains in the roadway are the Twin Towers, and the reference to them being plunged into the sewers equates with the leveling of them after the planes struck the building. The poisoned waters both literal and figurative for life in NY and in the US as a whole after the attack. 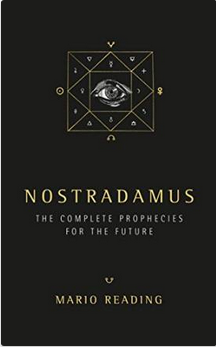 So what do you think, did Nostradamus predict 9/11?